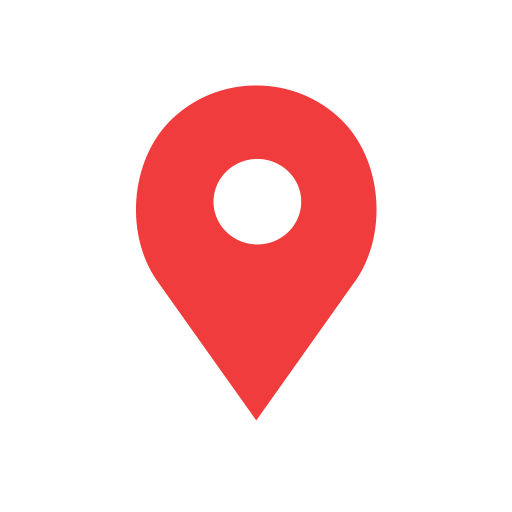 Machining Business | CNC Mills | API Precision Machining Inc.
API Precision Machining Inc. was established in 1945 as Commerce Welding and Manufacturing, Inc. This independent machining business was started by Charles S. Hejkal and Clarence Greiving. In 1957, Mr. Hejkal and Mr. Greiving established a "sister" company, Aircraft Products, Inc. 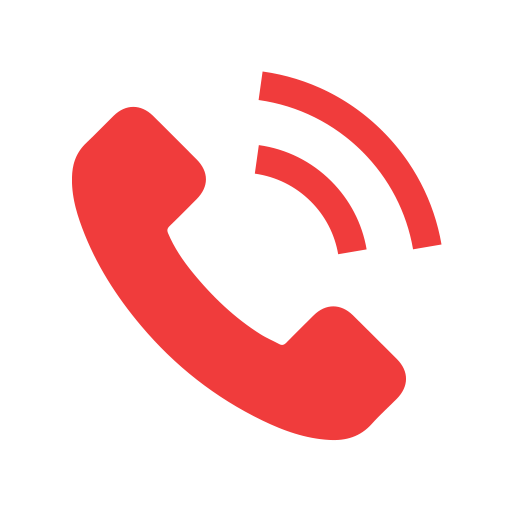 The new company secured contracts with several American and international companies earning a stellar reputation for quality products and customer satisfaction. In the 1960's, Aircraft Products was honored to be a part of the Saturn/Apollo Program, which fulfilled America's goal of landing a man on the moon. The company was presented with the Supplier Award and was recognized in the Roll of Honor in the Smithsonian Institute. During this time frame, Aircraft Products was also awarded the Boeing Top Supplier Achievement Award. 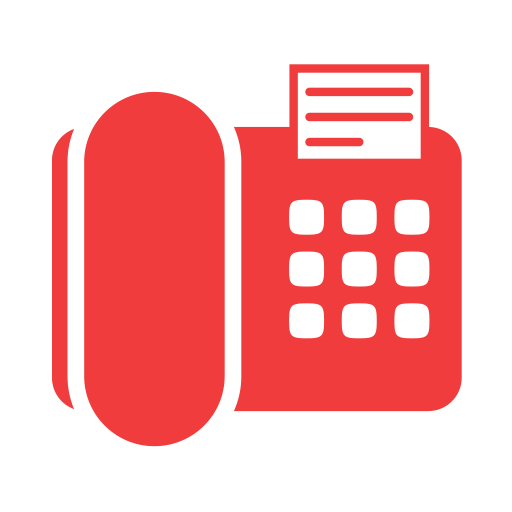 In the 1980's and 1990's, Aircraft Products became a leader in the telecommunications industry. The company received the E-Systems Supplier Achievement Award, the Rockwell International Top Performance Supplier, and the Alcatel Achievement Award. Aircraft Products, Inc. soared into the new millennium with the opportunity to be a part of the space program again. We now have machined parts onboard the NASA International Space Station. In October 2002, ownership of the company was realigned to include a partnership of Mr. Hejkal and his daughter, Karen Hejkal Lynch. In 2003, the company name was changed to API Precision Machining Inc. to address the diversity of the products supplied to our customers. 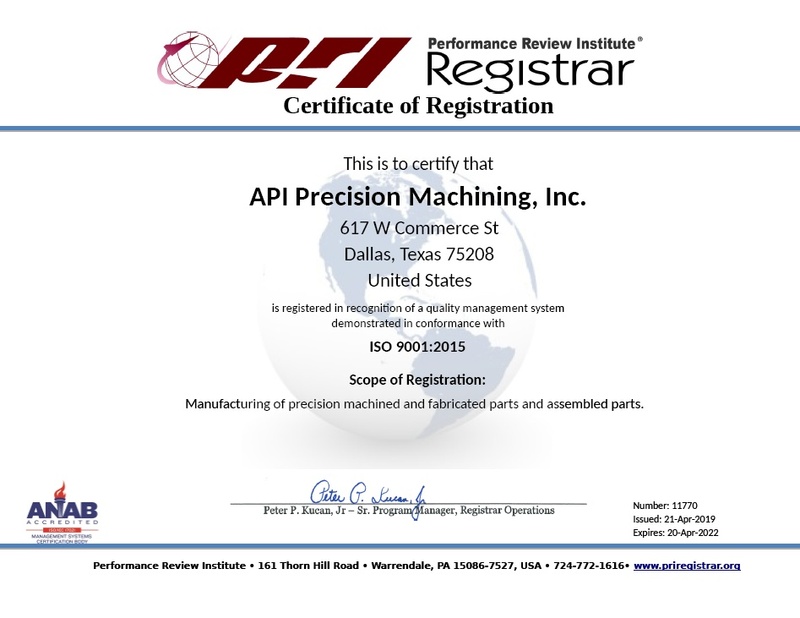 In June 2003, API Precision Machining Inc. received ISO 9000:2001 certification and has continued its certification to the newest revision; ISO 9001:2015. 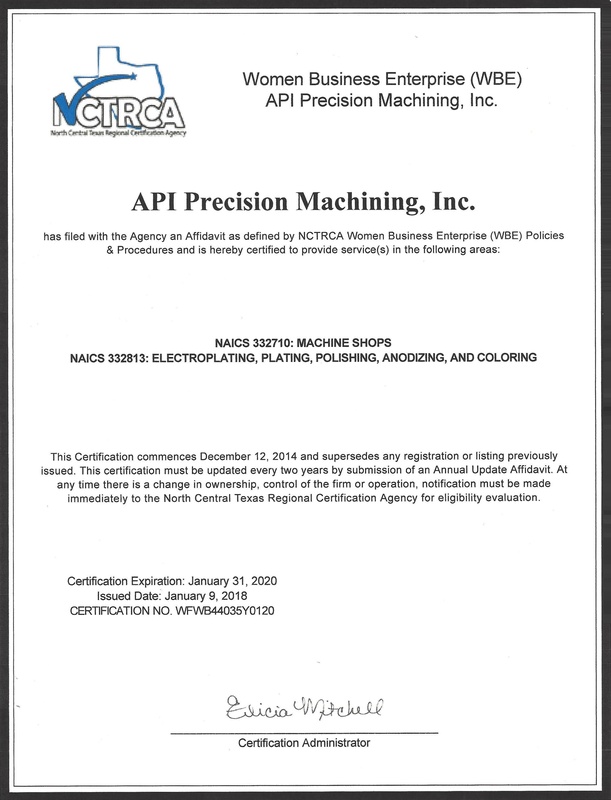 In July 2003, the North Central Texas Regional Certification Agency certified API Precision Machining Inc. as a Women Business Enterprise. In August of 2004, API Precision Machining Inc. was certified as a Historically Underutilized Business with the State of Texas. In 2008, API Precision Machining Inc. started manufacturing parts for the oil and gas industry and received the Atlas Copco Surface Drilling 2008 "Best Performing Supplier" Award. Since 2010, API has added four new CNC mills, one with a fourth axis, five CNC lathes, and a Dot Peen Marking System. 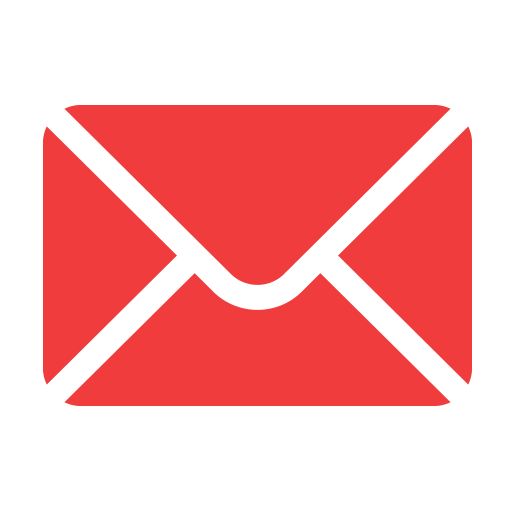 These new additions along with our existing equipment help us serve the numerous industries including Aviation, Commercial, Electronics, Food, Industrial, Medical, Military, Oilfield, Pneumatics, and Telecommunications.